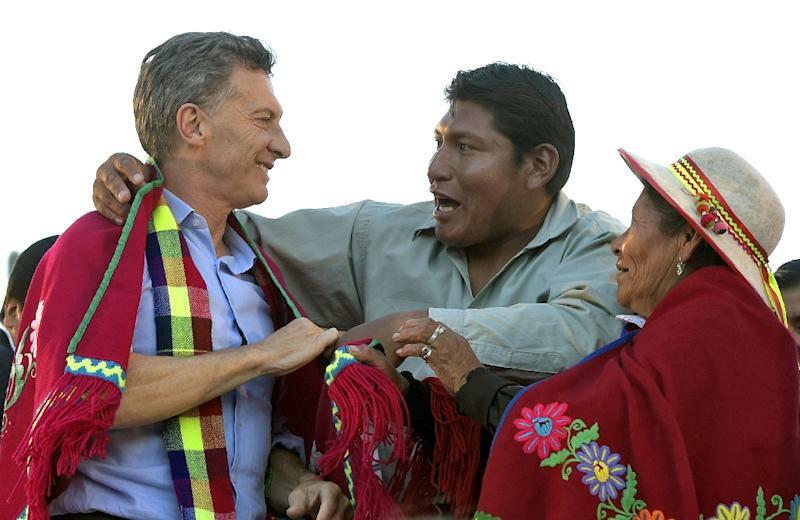 Buenos Aires (AFP) - His rivals dismiss him as a spoiled elitist, but former football executive Mauricio Macri has united diverse political forces in Argentina, where he could win the presidency on Sunday. In a run-off election, the graying 56-year-old is the top choice of millions of Argentines who are fed up with the hands-on economic policy of outgoing President Cristina Fernandez de Kirchner. He is also the favorite candidate of big businesses because he has proposed easing restrictions on imports and dollar transactions and liberalizing the economy after 12 years of rule by Kirchner and the Peronist movement. Macri rose to fame as the president of Argentina's most popular football club, Boca Juniors. "I wanted to be Boca's number nine" striker, he once said. Instead he led in the boardroom during the team's most successful period, seeing it win 17 titles. That powerful position catapulted him into politics. He founded his Republican Proposal alliance, known as PRO, in 2005. In last month's first-round vote he surprised pollsters by finishing close behind his opponent, Kirchner's ally Daniel Scioli. The mayor of Buenos Aires since 2007, Macri now spearheads a movement called "Let's Change" which aims to roll back policies that Kirchner says help the working class but business leaders say are wrecking economic growth. With a broad smile beneath his piercing blue eyes, he has crisscrossed the country's poorest provinces, hugging children and grandmothers and promising not to take away anyone's social benefits but give them the chance to work. Son of a rich businessman and educated at a private university, Macri has had to tread carefully in a country with a loaded history of class conflict. But he has managed to draw leaders of various political stripes to his cause, including Peronists and social democrats as well as right-wingers. At rallies he has gathered members of NGOs, businesspeople and spiritual leaders. 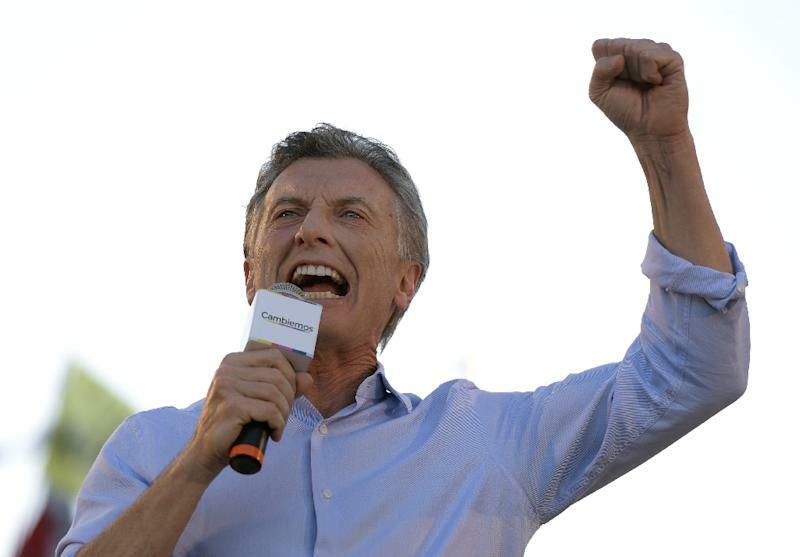 If Macri wins Sunday's vote as polls indicate he will, he would be the first elected Argentine leader who is neither a "Peronist," a group which has dominated Argentine politics for decades, nor from the radical liberal movement. In a country marked by electoral scandals and military coups, no other establishment figure has come this close to winning the presidency in a clean vote. 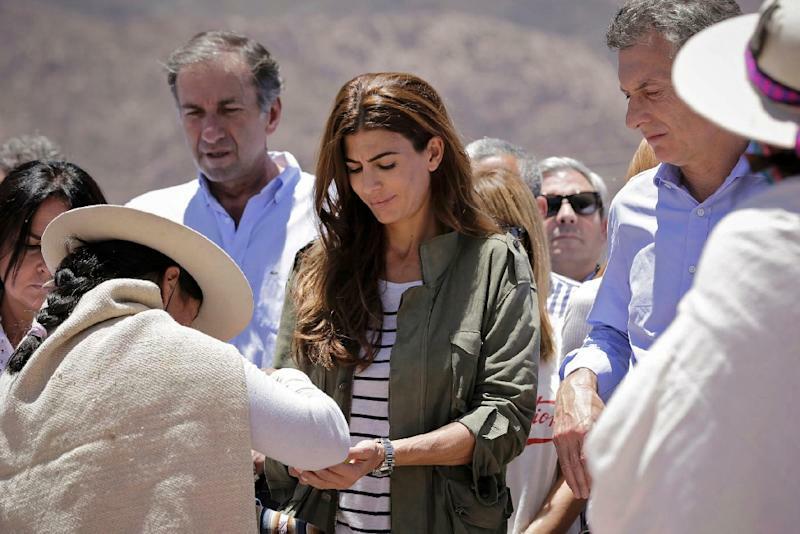 Twice divorced, Macri is now married to model and fashion entrepreneur Juliana Awada -- a friend of Scioli's wife -- with whom he has a three-year-old daughter. Macri was born in Tandil, a city in a eastern agricultural region, and grew up to manage his father's firm. In 1991 he was kidnapped and freed two weeks later after his family paid a six million-dollar ransom. In a more recent case, he faces accusations that he spied on opponents. At colorful campaign rallies he has released yellow balloons, imitated the singer Freddie Mercury and danced the Argentine "cumbia." He has vowed to liberalize the economy, but the contest against Scioli has also forced him to face up to voters' social demands. Scioli branded Macri a "stuck-up" elitist on Thursday. "In the past he was just right-wing and proud of it," the sociologist Federico Gonzalez told AFP. "Now he is like Buddha. He went out of his palace and discovered misery and sickness."